Rocket and Space Corporation Energia has sold 100% of its Cosmos Airline assets to the state-owned Roscosmos corporation. The entire package of shares was purchased for 1 ruble. The assets’ value, including a terminal at Vnukovo-3 airport, is estimated at anywhere between 1 billion rubles and 1.2 billion rubles. In particular, the buyer paid 16.6 million and 13.5 million rubles for the carrier’s aircraft and special equipment, respectively. 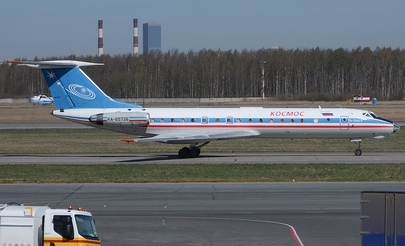 Cosmos Airline, which will now be a part of Roscosmos, will continue providing air transportation services to all Russian enterprises engaged in the rocket and space industry, according to TASS newswire. Cosmos operates a fleet of three Tupolev Tu-134s and an Antonov An-12. It was Russia’s last operator of Tu-154 aircraft, the last of which was phased out in November of last year. A new generation of Tupolev aircraft, the Tu-204-300, will enter the carrier’s fleet some time this year. The aircraft will be operated in the interests of Russia’s state defense corporation Rosoboronexport.